If you can ride a bike and love adventure, you would surely enjoy the experience of mountain biking. 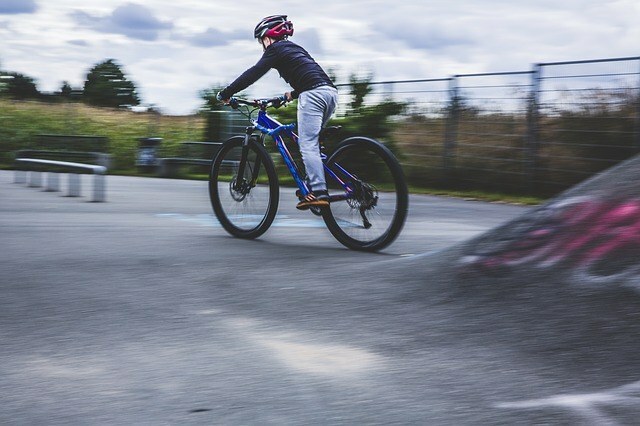 Though it can be dangerous when compared to normal biking, you can reduce the chances of getting hurt by practicing some basic skills of mountain biking. ​An ideal location for practice would be a steep hill that will help simulate the real time situation but do not lose heart if you cannot find one. You can even practice in a park, school or around your house. Wherever you may be, ensure that you get enough practice before hitting the incline. Here are some mountain biking tips for beginners to help you. The most important piece of safety equipment to take is a good helmet, which should fit perfectly around your head. The ones to look out for are the ones that sit just above your eyebrows, are snug around your head and have an adjustable strap. They should also be strong enough to protect your head and are not too heavy on your head. Particularly, this is critical especially if you have a bike with a toe clip. Start with sitting on your bike with one foot on the ground and practice to move your foot away from the pedal. Follow this up with practicing the same movement while riding the bike. The next important thing to perfect is your posture while sitting on the bike. Your arms should be bent slightly, and the body should be relaxed. Your leg should be extended 70 percent to 90 percent when measured at the bottom of the stroke on the pedal. ​You will find that it is harder to pedal at higher gears since they lead to higher speeds. The lower gears are simpler to pedal and should be used in specific situations like climbing hills. If the hills seem to be steeper, ensure that you change the gears before actually getting there. ​Coasting is another important trick that needs to be mastered. You should not be sitting on your seat but standing on your pedals when practicing this. Your knees should not be locked, and your arms should be bent. Once you get the hang of it, make this move a bit harder by shifting your body to the rear of your bike. ​The last vital move that needs your attention is pedaling while standing. Lift yourself from the seat while standing on the pedals and then crank them around. Particularly, this should be practiced on flat ground as well as on a hill. Ensure that you practice this in a higher gear when you are on flat ground and shift to the lower gears if you are practicing on a hill. ​Finally, when trailing on your bike, remember to enjoy yourself. Particularly, this is a good experience and makes for one of the best active holidays around.